OnePlus has revealed the official launch of OnePlus 5 on June 20, 2017. The last release of One Plus, OnePlus 3T was one of the best budget smartphone of 2016. The device offered high-end specs at a more affordable price than competitors like Samsung Galaxy S7, HTC 10, and LG G5. OnePlus will likely use the same strategy this year for its upcoming flagship, the OnePlus 5 which means a high-end smartphone that stand with the Galaxy S8 and LG G6 while undercutting them on price. The OnePlus 5 will be a flagship device and it will offer high-end specs and go with the best smartphones on the market. Just like its predecessor, it is expected to feature a 5.5-inch AMOLED display with either full HD or QHD resolution, which might be curved on the sides. The OnePlus 5 will also be powered by the Snapdragon 835. “With the OnePlus 5, our commitment to this philosophy continues. We’re proud to announce the OnePlus 5 will feature the Snapdragon 835 processor, which sets the foundation for smooth, powerful, and efficient performance. With graphically-demanding apps, for example, you’ll notice how fast they load and how well they run”explains OnePlus CEO Pete Lau. The device will offer 6 GB of RAM and 128 GB of storage and will have a fingerprint scanner located on the front and a larger 3,600 mAh battery. the OnePlus 5 is also expected to feature a dual-camera setup on the back, just like the Huawei P10, LG G6, and many other modern devices. 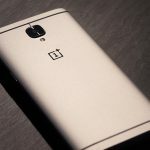 Moreover, OnePlus has also revealed that it had teamed up with DxO to enhance the photography experience on the OnePlus 5 since DxOMark is the benchmark for camera and lens image quality measurements and ratings. It is expected that the headphone jack will appear on the OnePlus 5, but at the top of the device rather than the bottom. OnePlus 5 will run the latest and greatest Android Nougat with the OxygenOS skin on top. The OnePlus 5 is expected to have a very simple design and will feature a metal body.